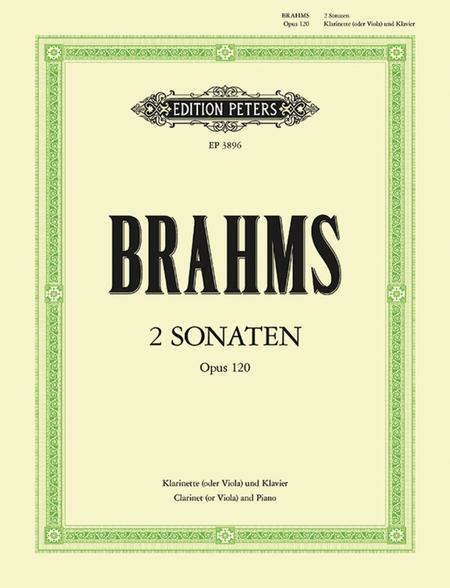 Composed by Johannes Brahms (1833-1897), edited by Carl Herrmann, Heinrich Bading. Opus 120. Set of performance parts (viola part included) for Bb clarinet (or viola) and piano. With solo part and piano accompaniment. 92 pages. Published by C.F. Peters.